Exercises for sore or traumatized shoulders. Exercises that allow you to gradually roll back the negative consequences of a shoulder trauma or age-related problems with shoulder joints and ligaments. When done on the regular basis, reduce pain and restore shoulder functions to full extent. FREE, but please, do not copy. This is the first reason this eBook was created: it provides a list of exercises one can perform to ease (or remove completely) the back pain. These exercises are considered safe, though you should consult an expert, especially if you have particular health problems. Yet, they are safe. The second reason this eBook was created, see these same exercises, when done on the regular basis, will streighten your back muscules, allowing them to better support your spine. It means that you will have less episodes of accute back pain, at some point, your back will likely stop hurting completely. All exercises should be performed on a relaxed way, and if something causes sharp pain: stop. Stretch as far as you comfortably can, sooner or later, your ligaments will adapt and you will be able to do the routine "right". But at the beginning, just go as far as you can. Daily Routine and Emergency Help for Hypertension. Daily Routine and Emergency Help for Hypertension. Exercises to keep hypertension and high blood pressure under control. Emergency technics: what to do to survive until the ambulance arrives. 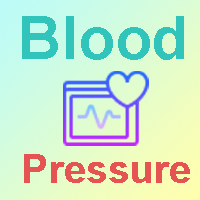 Blood pressure and damage related to it is aaddressed by a large area of modern medicine. But in this particular tutorial we are only going to talk about things you can do yourself. And of course, there are two parts to it. First part is a (hopefully!) daily routine that will help you to keep blood pressure (both increased and decreased) under control. A common misconception is that hypertension is forever. It is not so, though of course, you will have to put some work on it. What should you do BEFORE the ambulance arrives? This period of time, sometimes short, sometimes, unfortunately, it can grow longer, is critical. The more you do, the less the resulting damage will be, and the difference can be as signifficant as between "total paralysis for the rest of the life" and "just stood up and walked away". Just remember that simply sitting and waiting for doctors to come is not the best possible strategy: the person (you or someone else) is DYING. The brain cells (in case of stroke) or heart cells (if we are talking about the heart attack) are starving for oxygen, and in a mater of minutes the changes can become irreversible. Yet, there are technics that can help, support and in many cases even to revert the damage. It is vital to learn them and to be ready to apply. How to revert age-related changes in our back. Exercises that allow you to gradually roll back the negative consequences of a moderm life style. Depending on the pace, the workout can be used both by people that can barely move and by athlets. No age limitations (still, read the disclaimer and talk to your physitian). In this booklet, you will find illustrated descriptions of the exercises that you can use to become a strong, flexible, HEALTHY person.